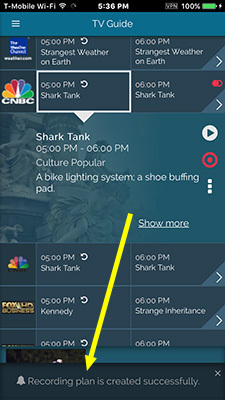 Tapping on the Record icon in the Program Info listing or the jawbone menu prompts the user to record either the current (individual) program, or to record the entire series of that program. 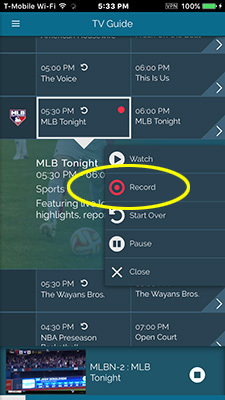 Recordings are then listed in the Media Library, which is described later. 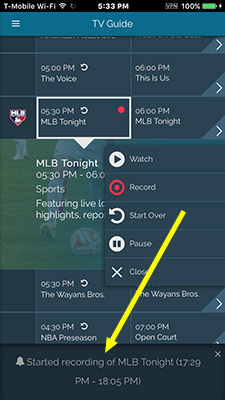 When an individual recording or series recording plan has been created successfully, Stream2 will display a confirmation at the bottom of the screen. 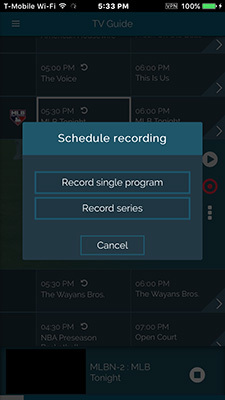 Confirmation for establishing a series recording plan.